PCG Solutions AB develops and markets software solutions for clinical trials and patient registries as SaaS (Software as a Service). The product Viedoc is a modern and future-proof electronic data capture platform that allows clinical trial sponsors and study sites to easily and securely collect, validate, transmit and analyze clinical study data. Viedoc has been used in more than 1.000 clinical studies in 75 countries with more than 400.000 patients worldwide. The goal for organizations using Viedoc (mainly Contract Research Organizations (CRO), pharma, biotech, medtech and consumer health) is to produce health products in a more time and cost-efficient manner. 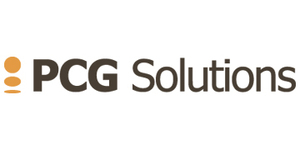 PCG Solutions is a privately held company with offices and presence in Uppsala, Åbo, Tokyo and Shanghai. The Uppsala office is the head office from where development and global operations are being managed. The Tokyo and Shanghai offices are focusing on sales and service delivery. Strategic partners for sales and service delivery are based in India, Germany and the USA. The company is characterized by an innovative approach, creativity and is striving to evolve the processes for how clinical trials are being conducted. PCG Solutions was born with the vision to innovate the pharma industry with a new game changing web solution. This we do with our in-house developed, innovative system, Viedoc™ which is built on the latest techniques and trusted technologies. If you have passion for technology and creativity and want your daily effort to really make a difference, this is the place to be! As a System Architect you possess strong technical and communication skills with the ability to translate technical topics to business stakeholders as well as translate business topics in to technical designs and solutions. As a system developer focusing on .NET and the web, you will develop, design and implement functionality in close cooperation with the product owner, with a strong focus on usability, reliability and quality. We work in an agile manner and believe strongly that small cross-functional teams empowered to make decisions and move fast are the best way to achieve our goals. This is a stunning opportunity for a passionate Architect or a System Developer who is ready to take their career to the next level and who hopes to work on and deliver game-changing solutions with other passionate people in a fun and inspired environment. Develop, maintain, and document web systems using current technologies and best practices. Understand and pursue the product vision and roadmap, as determined by the Product Owner. Engage in rapid and iterative development practices. Interact with team members to identify challenges and solutions, share and receive knowledge and skills, and continually improve team processes. Since the office language is English, you must be accustomed to speaking and writing in English. It is an advantage if you also know Swedish. Understand the customer | Be reliable | Have fun.